Friendship United Methodist Church has many great volunteer opportunities for our congregation and others. Please review the list below and let us know if you can help. Your service is greatly appreciated! Children’s Choir Director – This is a great opportunity to lead our Children’s Choir (ages 4-11) and earn a small stipend. The choir practices once per week for about 45 minutes and performs once each month at a church service. For more information, please contact the Staff, Pastor, Parish, Relations Committee (SPPRC) via email at (SPPRC@frienshipmethodist.org). Stephen Minister Trainees – If you are interested in providing loving assistance to those going through difficult times, please consider becoming a Stephen Minister. Contact Paula Madden (443-262-2635) for more information. 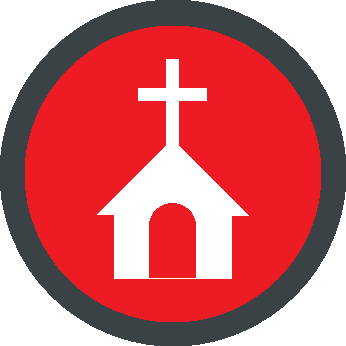 Sunday School Instructors and Assistants – This is a great way to teach our children about Christ and to serve others. No experience required. The Sunday School year is from September to May. Please contact Mary Kaufman (mary.kauffman00@gmail.com) for more information. United Methodist Women – Friendship UMC has several women’s groups that welcome new participants to help with various ministries and projects such as Prayer Shawl Ministry, food and gift baskets for those in need, get well and sympathy cards, etc. Please contact Lillian Mair (301-855-6359) with the Dorcas-Lydia Circle (senior women who meeting during the day); Shari Thorne-Sulima with the Tabitha Circle (women of all ages who meet the third Monday at 7:00 p.m.); Stacy Church with the Sarah Circle (young mothers/working women who meet quarterly); and Vera Pflum(vpflum@msn.com)/Crafters n Friends-Prayer Shawls (meeting times as announced). Worship Service Volunteers – We’re always in need of ushers, greeters, communion servers, scripture readers, and acolytes at both Sunday services. If you are able to help, please contact Bonnie Revell (410-741-5268).